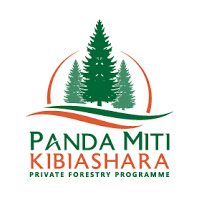 The Private Forestry Programme (PFP) is a bilateral initiative between the Governments of Finland and Tanzania. The Programme increases income in the Southern Highlands through science-based private plantation forestry, and by strengthening forest industries. Private Forestry Programme (PFP) wishes to recruit FWITC Accountant /Administrator and programme Drivers. The FWITC Accountant/Administrator and Programme Drivers will be members of the PFP team. Accountant/Administrator will report directly to the Centre Manager and Programme Drivers to the Chief Finance Development and Administration Advisor (CFDAA) and through him/her to the Team Leader. They will strengthen the office support to ongoing programme reporting and implementation as timely as requested.  Become proficient in and operate FWITC administrational system. Keep staff and student records.  Maintain the billing folders for all training programmes, with all the appropriate documents, including expenses, consultant invoices, and monthly invoices, in accordance with standard procedures.  Work with the cash receipts to reconcile variances that occur in the application of cash and bank statements each month.  Generate and distribute receivables reports every 2 weeks and monthly profitability reports.  Perform monthly and quarterly balance sheet, income statement and changes in financial position/budget variance analysis.  Prepare local property and business tax returns.  Provide year-end support of auditor requirements, which may include research and reconcilement.  Must have practical at least 5 years’ experience in driving light vehicles in Tanzania.  Perform and assist in any other task required by the programme e.g. such as doing errands, purchasing items for the office, delivering items. If you are fully qualified for the above position and are ready to commit to delivering the required outputs, send your current CV and application letter, in English, by email to:hr@privateforestry.or.tz The deadline for receiving applications is June 10th 2018.Please quote the position you are applying for in your email subject. While we thank all applicants, only shortlisted candidates will be contacted.